We know you will love Nicky Baker and we hope you will share this app with your friends! 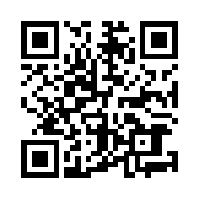 Simply show them the QR Code below, have your friend scan it with their favorite QR scanner app and they will be able to experience all that Nicky Baker has to offer! You can also send us an email and we will send you a direct link to download our app!